Qingdaou – It was all about a place in the Medal Race on day four of the Sailing World Cup Qingdao as the top ten were confirmed in all seven fleets. There was one gold confirmed and points cushions opened up in the hunt for World Cup medals ahead of the final day of racing in China as learning and progression was again the order of the day. It was another good day in the Laser for Croatia’s Tonci Stipanovic as a bullet and third place moves him 11 points clear at the top of the fleet heading in to the final days Medal Race. 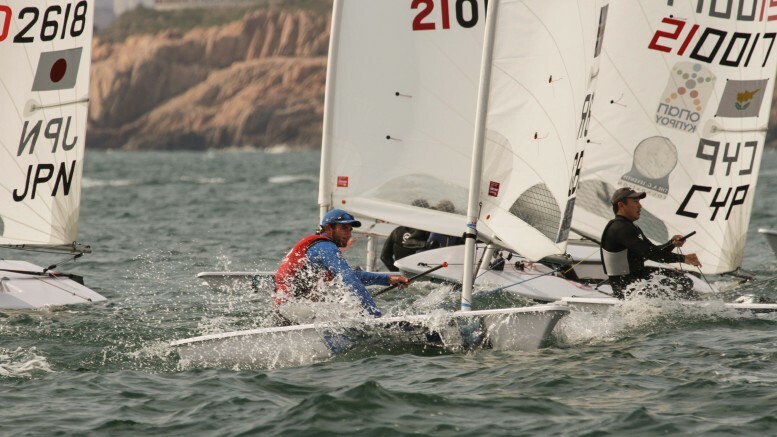 Stipanovic’s nearest rival is the 2015 Sailing World Cup Qingdao winner, Great Britain’s Lorenzo Brando Chiavarini who scored a 2,4 which moved him in to second place on 26 points, compared to Stipanovic’s 15. Of the chasers behind, most likely to catch Chiavarini is third placed Pavlos Kontides (CRO). With a fifth and seventh, Kontides finds himself six points from his British rival on 32, but he has gained a place on the leaderboard as Italy’s Giovanni Coccoluto had a disappointing 12th and 21st, which he discards. Falling from second to fourth, the Italian is starting to find himself on the back foot to step on to the podium come the end of the regatta. There was yet another perfect day for China’s Dongshuang Zhang who now has one hand on the gold medal in the Laser Radial as she takes a 12-point advantage in to the Medal Race. With seven bullets from eight races, Zhang has looked almost unstoppable on her home waters and you will be hard pressed to bet against the Chinese sailor blowing such a points lead in a regatta where she has been so strong. While Zhang sits on seven points at the top, second placed Monika Mikkola (FIN) could not push the leader on day four only scoring a third and discarded seventh to finish the day on 19 points. While the Finnish sailor has her work cut out for her in the hunt for gold, she does have the safety of an 18-point lead over third placed Rubei Yuan (CHN). Yuan herself has a seven-point cushion heading in to the final race over compatriot Min Gu (CHN) as she bettered her rivals scores 2,4 to 3,10. Yuan finishes the day on 37 points while Gu is on 44. 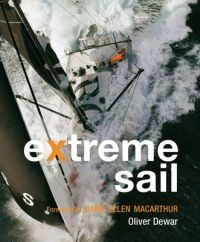 Finishing just outside the top ten will be taken as a confidence booster though for a young sailor in unfamiliar conditions. Hao Lan and Chao Wang (CHN) remain top of the Men’s 470 fleet and take a six-point advantage over second placed compatriots Zangjun Xu and Wei Wang in to the Medal Race. Scoring a 2,8 for the day, Lan and Wang have 25 points to Xu and Wang’s 31 from a third and fourth place today. China’s Liangdao Weng and Youjian Wen drop from second to third on the leaderboard and will go in to the Medal Race equal on points with counterparts Xu and Wang. Moving up to sixth overall, performance of the day in the Men’s 470 goes to Sweden’s Carl-Fredrik Fock and Marcus Dackhammar who returned to shore with two bullets. In the Women’s 470, China’s Mengxi Wei and Yani Xu still hold top spot following a second and a discarded seventh on day four. The pair hold top spot with 13 points. Second on the leaderboard are Shasha Chen and Haiyan Gao (CHN) who claimed a bullet and a second place to open up a six-point gap back to the third placed team of Shengnan Ni and Lizhu Huang (CHN). Ni and Huang claimed two third places and have 23 points total. The other bullet from the day went to fourth placed team, Yuchen Zhang and Yahan Tu (CHN) who also carded a sixth place. They have 29 points and are six off a podium place. It’s tight at the top of the Men’s RS:X as three sailors are within three points of each other in the medal positions. Currently in front is Chunzhuang Liu (CHN) who scored a 3,3,6 on day four giving him 33 points total going in to the final race. Tied on 36 points just behind are second placed Mengfan Gao (CHN) and third placed Bing Ye (CHN). Gao scored a 2,2,4 while Ye took a bullet to go with a 2,7 to let his compatriot back in and let his slender points lead slip. Other bullets from the day went to fourth placed Zhichao Zhang (CHN) and sixth placed Zhaoguan Dong. China’s Hongmei Shi guaranteed herself the gold medal before the final day of racing as she opened up a 22-point gap back to second placed Xiaoqing Yu (CHN). Shi has been head and shoulders above her competitors all week and again took a bullet and second place before she let her foot off the gas to score a discarded fifth in the final race of the day, but the damage had already been done. Despite claiming a bullet, Yu could only score a 3,7 in the other races of the day which let the golden challenge go. Yu has 40 points to winner Shi’s 18. Yu does however have a silver within touching distance from a ten-point gap back to third placed Jiao Ma (CHN) and fourth placed Pei Ling Chen (CHN) who have 50 points. Closely behind in fifth is Manjia Zheng who took the other bullet on offer today and has 52 points for the regatta. Lei Gong (CHN) has led from start to finish in the Finn and has a five-point lead over second placed He Chen (CHN) going in to the Medal Race. A bullet and second for Gong, compared to a bullet and third for Chen has allowed the leader some room for maneuver in the final race of the regatta. Gong has only finished first or second at Sailing World Cup Qingdao and if he carries on that run he will walk away with the gold medal. Xin Li (CHN) sits in third place overall and has a 13-point buffer back to Fusen Jiang in fourth. Li has 17 points total and Jiang has 30. Feeling comfortable with a medal looking highly likely, Li could still move up the leaderboard and surprise the leading two.